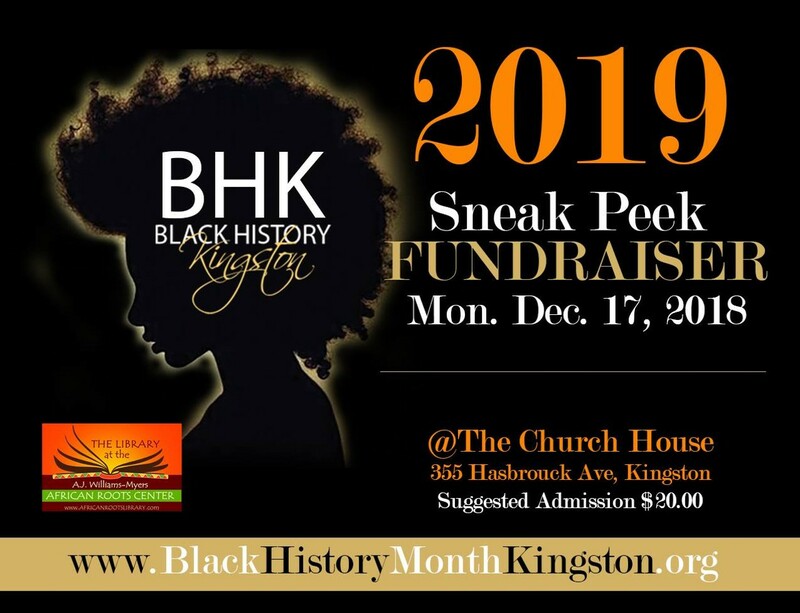 We invite friends and supporters to join us this evening as we pull back the curtain and give you an exclusive sneak preview into an exciting line-up of activities and performances slated for Black History Month Kingston 2019. With your generosity funds raised will be used to finance mainly production and advertising. Your help allows for the development and promotion of cultural awareness to form a stronger community. 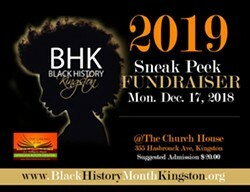 Black History Month Kingston is made possible by the AJ WIlliams-Myers African Roots Library.